When it comes to making a swift (and stylish) desk-to-date quick change—less is truly more. Whether it’s cocktails with coworkers, drinks with a flame or even a networking event, nobody has time to go home for a wardrobe change. The key to success? Transporting one or two impactful transitional pieces in your work tote. For Work: Blazers are your best friend. Not only are they our go-to when we need to look perfectly polished, but they instantly turn any dress or top into a business casual outfit. Pair with practical flats and a handbag in a new neutral—like burgundy or cognac. 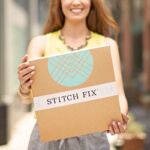 For After-Hours: Hitting up a networking event after work? Shed the blazer and slip on a pair of stilettos to turn into a power player. Stylist Tip: Try wearing a dress in a bold print. Tone it down with a solid cardigan or blazer for work & let the print stand out on its own after hours. 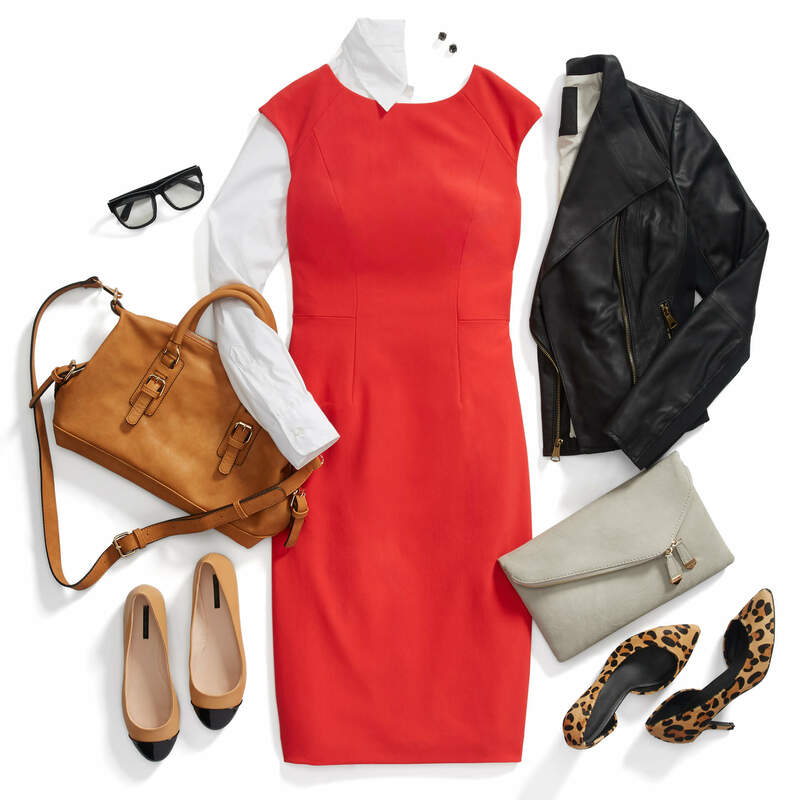 For Work: Try a new take on layering by pairing a button-up under a dress. 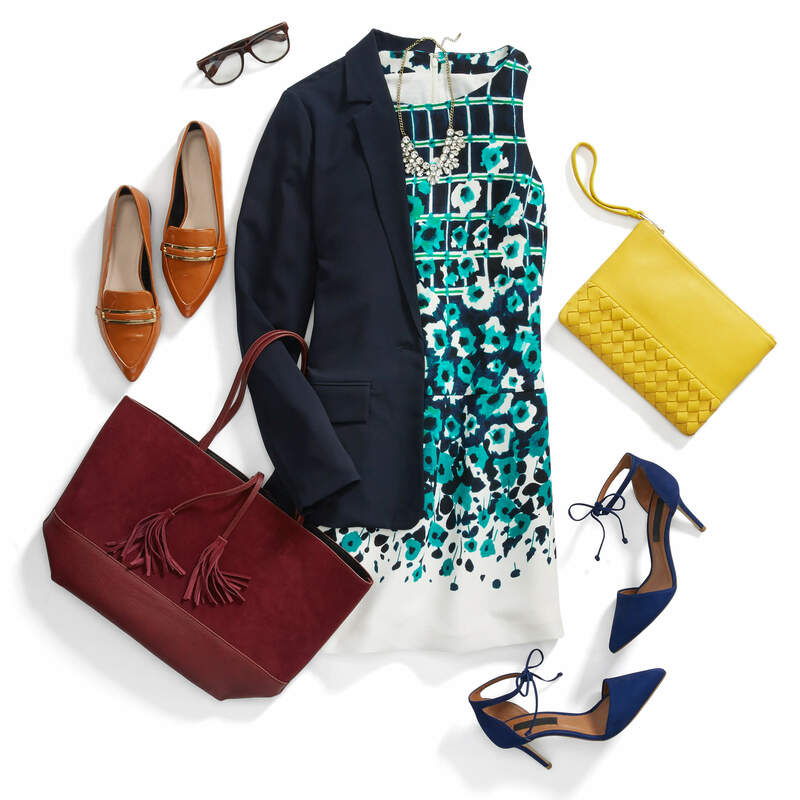 Not only will it keep a sleeveless look work-ready, but it’s a fun way to play with a preppy work vibe. Simply pair with flats and a work tote as you head out the door. For After-Hours: Be a quick change artist! Slip on your leather jacket & leopard print heels to turn your preppy work look into something definitively more edgy. Stylist Tip: Wear practical, professional shoes to work and bring your date shoes with you—store everything in a classic carry (and bring Ziploc bags to keep things tidy!) for easy transport. For Work: Pull off the all-black look with a pencil skirt, blazer & black flats. Add a subtle piece of jewelry to dress it up for your hump day meetings. For After-Hours: Slip into your favorite pair of lace-up heels to add extra height & show off your mile-long games. An all-black ensemble is a fail-safe look for any night out—black is always flattering. Stylist Tip: Pair a pencil skirt with a basic T-shirt & statement necklace—it’s a work-appropriate twist on #streetstyle.